Axis Of Oversteer: End of an era. It's not like you didn't know it was coming, sooner or later, but it's still a bit of a shock. Bernie Ecclestone has confirmed his exit from an executive position in Formula 1. 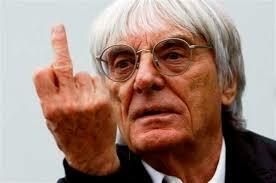 Ecclestone has been blamed for pretty much everything wrong with F1 and people have been calling for his head for decades but will the sport automatically get better without him? Herding cats is never easy. Cheers Mr E. and thanks for the good bits.